A new Wayland heritage photography group will be meeting every Wednesday afternoon during the summer at Wayland House, High St. Watton, from 2 to 4.30pm, starting on 12th May. Each week the group will go out to different locations in the Wayland area, to explore and record the natural landscape and man-made heritage that make this area unique. There are no fees, and the group is open to people of all abilities. You can bring your own camera or borrow one from the project. Those with more experience are encouraged to give support to the beginners. Guidance will also be available from guest photographers and the Wayland heritage officer. As well as taking photographs members can learn some basic editing skills using Photoshop Elements, on equipment available in Wayland House. The project already has a Flickr online photo group with 36 members, who have posted nearly 700 photographs. These can be seen on http://www.flickr.com/groups/wayland-heritage/. Basic membership of Flick is free, but you do not have to join to just look at the photographs. This book was written by Rev. Charles Kent, M.A of Merton in Norfolk and published in 1910,he drew heavily apron the papers and notes of his predecessor Rev. George Crabbe of Merton that had been left at the church and rectory. It is one of the few books that has covered the Wayland area in any depth. You will find a wonderful range of topics such as superstitions, highwaymen and local traditions. There are chapters on Watton, Merton, Thompson, Stow Bedon, Breccles, Tottington, Carbrooke, Caston, Griston and Scoulton. The 'Capturing Our Wayland Heritage' project is working to make out of print reference books, such as this, easily accessible to researchers. The text is searchable and the whole book can be downloaded as a PDF from Google Docs once there click on the file button (top left) and a drop down menu will give the option to download. 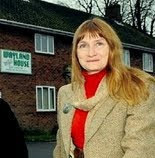 The book, from Sue White's collection, was scanned, edited and the PDF prepared by Gary Pearce. 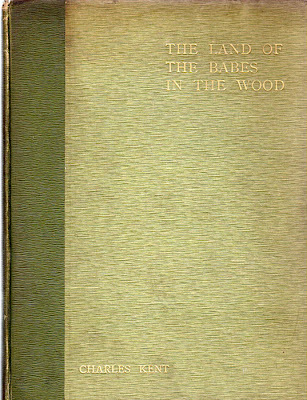 Labels: Babes in the Wood, Book, Breccles, Carbrooke, Caston, Free Download, Griston, Merton, Scoulton, Stow Bedon, Thompson, Tottington, Watton, Wayland.